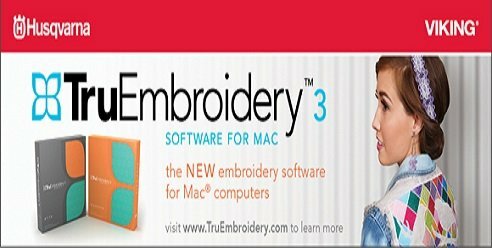 A complete software system designed specifically for Mac® computers, TruEmbroidery™ Software offers everything you need to bring embroidery to life. TruE™ Studio – Adjust, personalize and combine embroidery designs, frames and flourishes. TruE™ Modify – Transform embroideries with the perfect touches. TruE™ Create – Tap into unlimited embroidery design possibilities with thousands of stitch effects. TruE™ QuickCreate Assistant – Create designs automatically from clip-art. TruE™ Portrait Assistant – Create an embroidery portrait from your favorite photo.